JOIN us on May 29th, 6-7 p.m. for a book launch pajama party! Exciting news! Sammy’s Books is about to launch the Mini Story Series and the First Book Series on May 29, 2014. Paperbacks and eBooks will be available on Amazon and select bookstores on the same day. 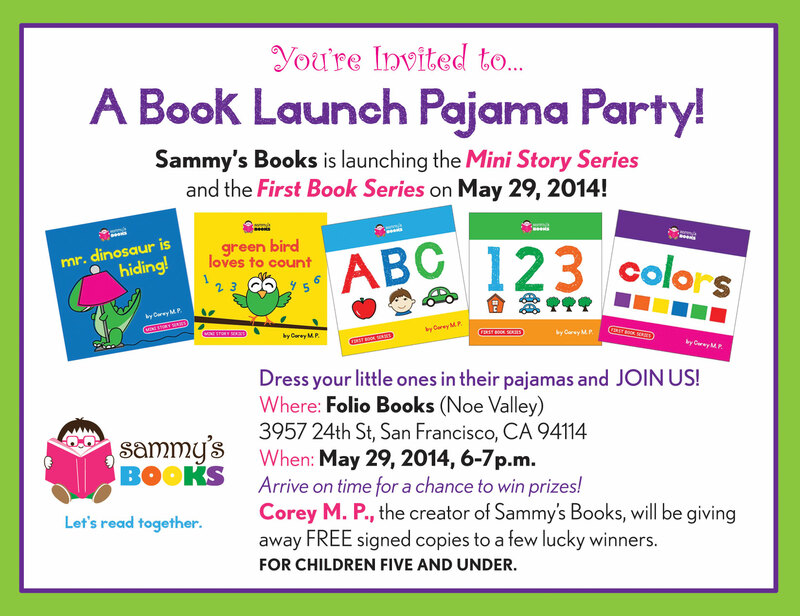 A pajama launch party will take place at Folio Books in San Francisco. 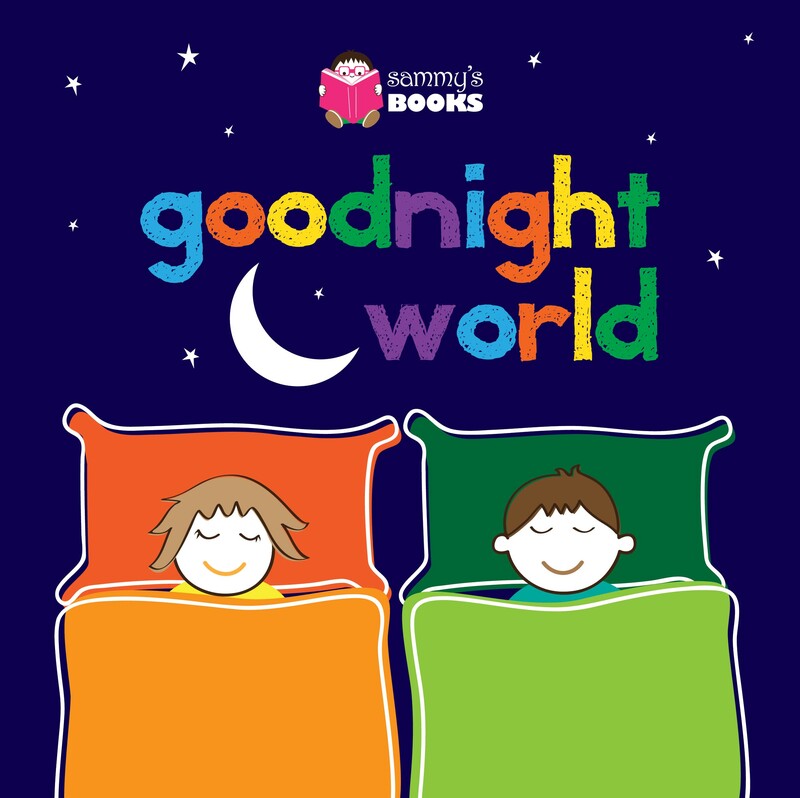 Corey M. P., the author, illustrator, and creator of Sammy’s Books will be reading three titles from her collection, including “Goodnight World”. 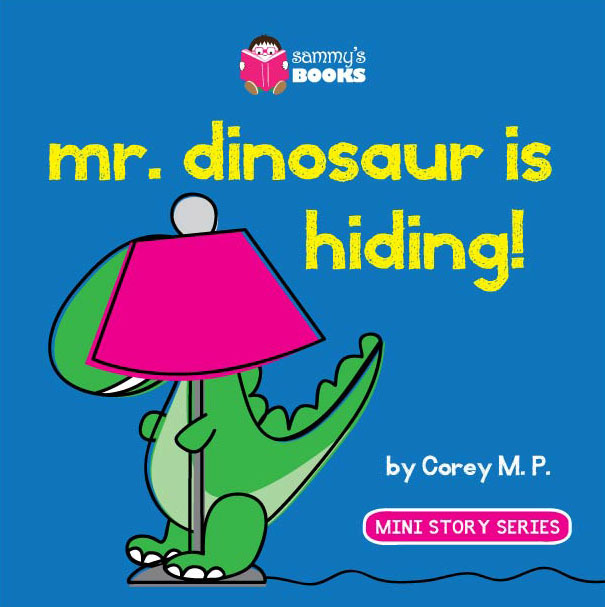 Mini Story Series: A collection of books created for children 2-5 years old. 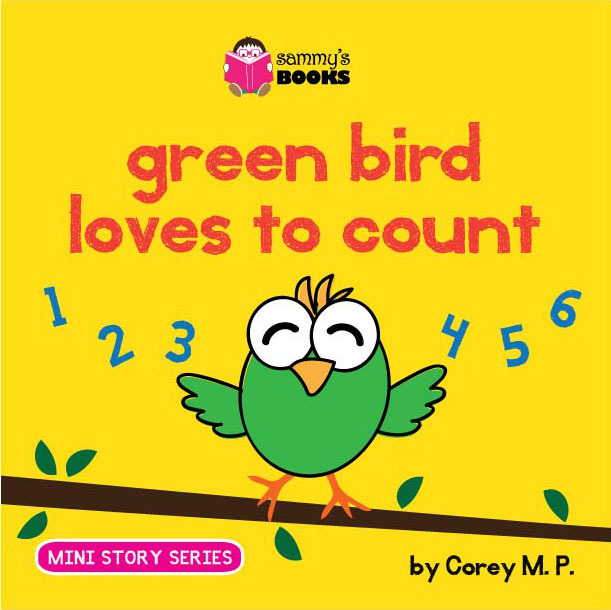 The silly characters, word repetition, and rhymes will teach and encourage your child to read, as they chuckle along and flip the pages. 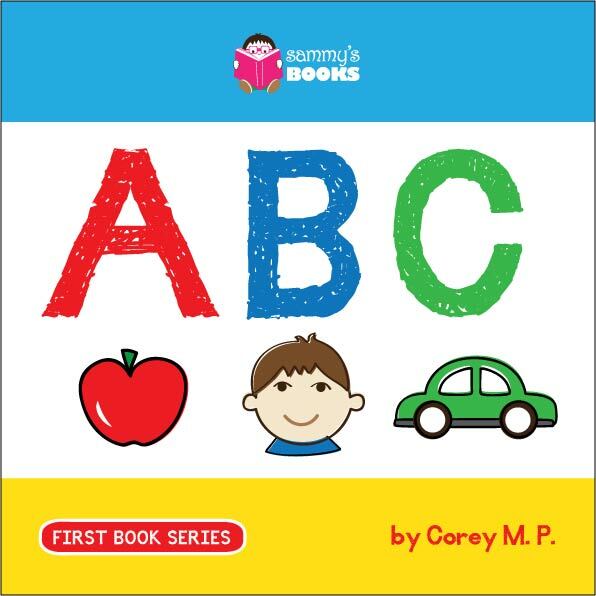 First Book Series: A collection of beginner books created for babies and toddlers. 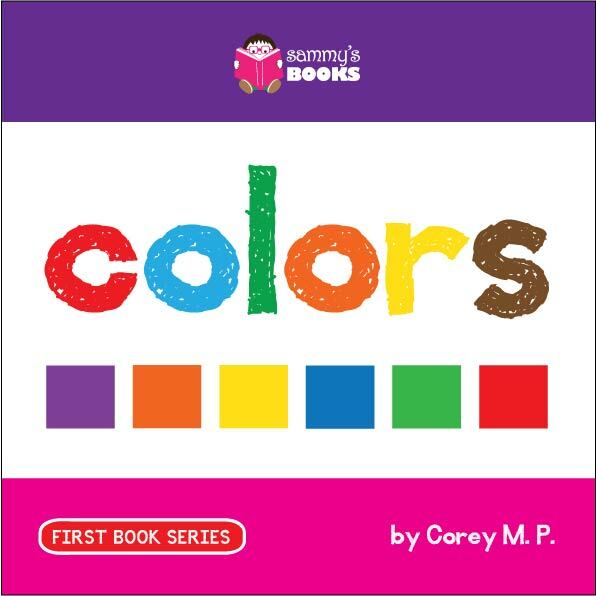 The vibrant designs and bold illustrations will help your child focus and master their alphabet, numbers, colors, and more, in no time. 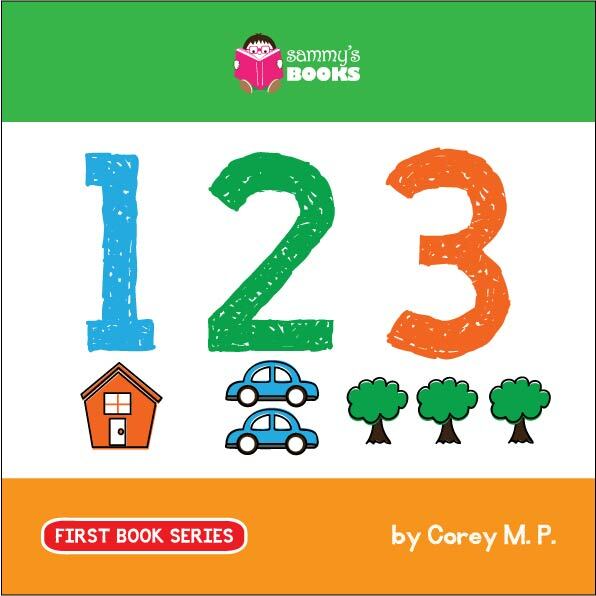 This collection is also a helpful tool for preschoolers. When: May 29, 2014 from 6-7 p.m.